This is by far my favorite one I have drawn. Just Pencil and Paper. Last edited by XlVI_X_I_ZETHOR_I_X_IVlX on Feb 9 2015, 12:56pm, edited 4 times in total. Last edited by Davey_Jones on Feb 9 2015, 10:52am, edited 1 time in total. 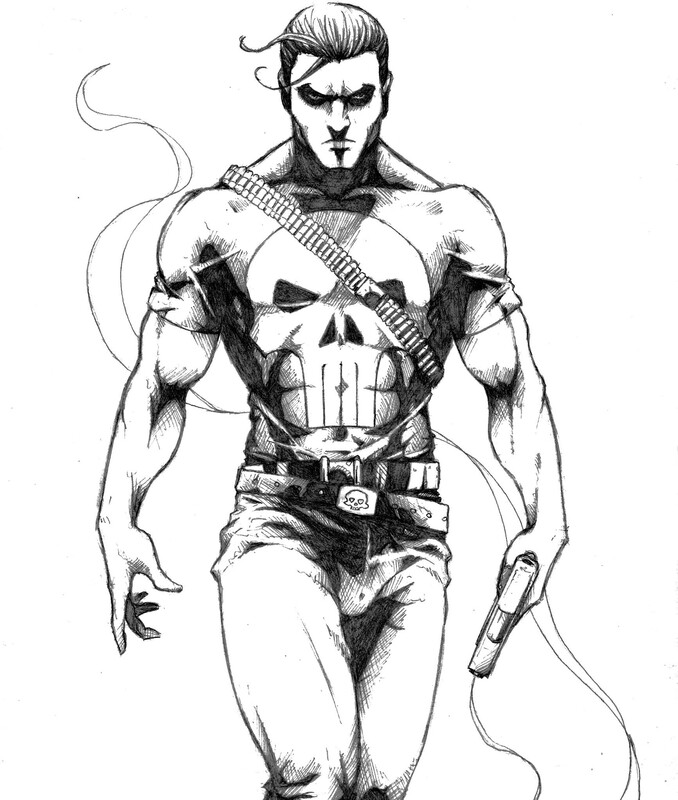 The punisher one took about two hours. The second is much more impressive, if you actually drew it. Will upload a few more when I get back home. My sketch folder is at home, and those two are the only ones I have pictures of. I like how the second and third drawings are way better than the first anyone can tell you didn't do it.